This one of a kind desk is made from a single Pennsylvania Walnut slab with solid Walnut legs for the base. The slab is able to be separated from the legs for transport/moving. 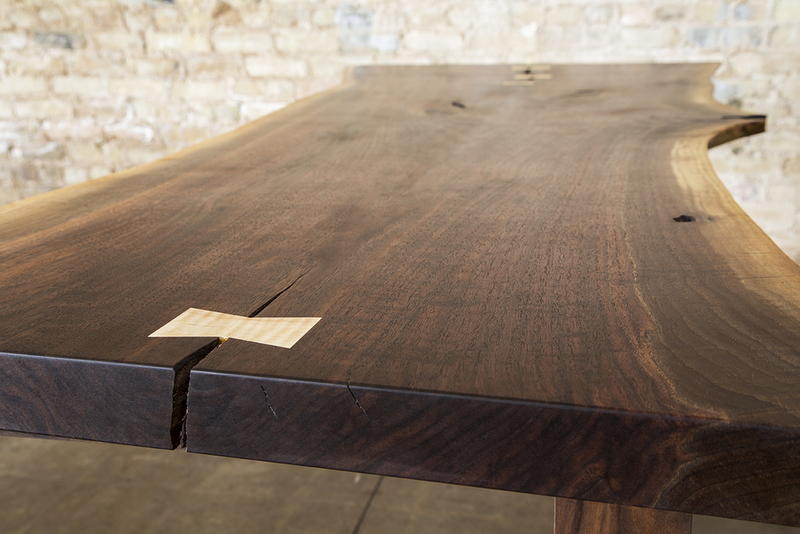 This is 100% solid Walnut through and through. Designed to be used and passed down through generations. WIDTH: End- 33" Middle- 27" End-30"
- Hand rubbed, all natural, plant based, oil finish and topped with hand rubbed beeswax to create a natural top. The finish is natural and safe for the environment and the user. It creates a water resistant barrier by soaking in to the wood pours and hardening from within, while retaining and enhancing the natural colors of the Walnut. Piece pictured available at Custom Rustics.